This ring represents a Moorish castle. This ring represents a Moorish castle. 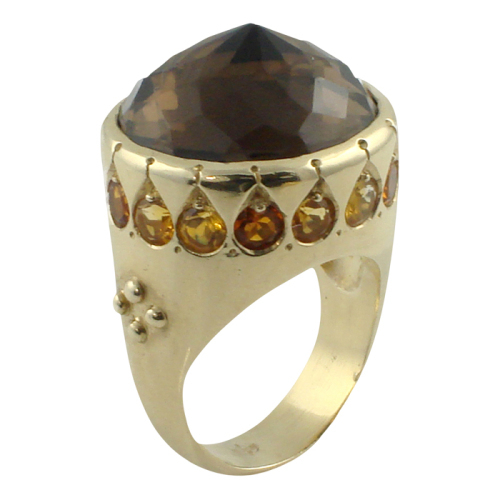 The central gemstone, a 18 mm round smoky quartz 17.4 ct is set with the pavilion facing upwards to represent the dome of the palace. Around the ring there are two color of citrines (regular citrines 0.90 ct and Madeira citrines 0.92 ct) that give some contrast to the ring and represent the windows in castle.